If you want to experience a boutique winery in Coonawarra, then visit the beautiful Highbank Winery. This one-of-a-kind winery showcases the true essence of Coonawarra. Walk on the gorgeous vineyard featuring hundreds of grape vines growing in the famous terra rossa earth and learn more about the bio-dynamic techniques of viticulture followed at this winery. Furthermore, delight your senses by tasting some award-winning wines at the luxurious cellar door. All in all, a visit to the Highbank winery is a must for all wine lovers. Highbank’s owners Dennis and Bonnie Vice have managed to beautifully decorate and maintain this winery. This place is not just another boutique winery; it is a premium destination that takes you on a journey to understand the true lifestyle and essence of Coonawarra. 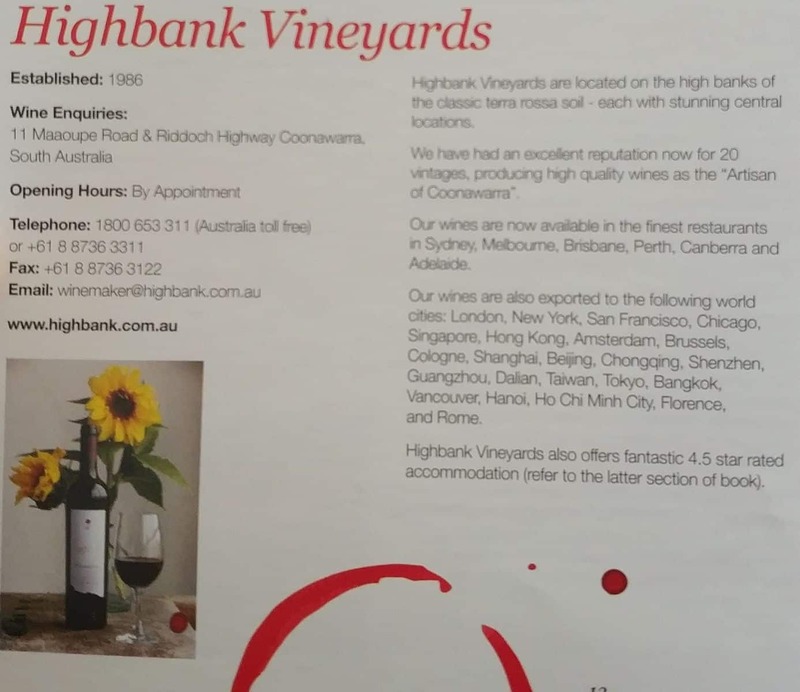 In Australia, Highbank is known for its wide range of premium handcrafted wines. If you are a wine lover, then don’t miss the chance to taste some authentic and unique wines whilst visiting Coonawarra. For tourists and visitors from other areas, Highbank offers a range of luxury accommodation. The winery’s two wonderfully appointed self-contained villas are perfect for your holiday lodging in this scenic township. In addition, the winery also offers few choices of romantic guest retreats, especially for couples and honeymooners. Imagine staying at a villa or cottage that overlooks the verdant vineyard setting, set against the scenic hills and picturesque gardens.